Gembecki Plumbing is family owned and operated, serving all of Central Florida. It is the sister company to Gembecki Mechanical Services and Mahoney Ice Equipment. We understand the importance of customer service and quality workmanship. Let us be there when you encounter a plumbing emergency. We are ready to handle all your home care needs! Managed by our service expert, with over 30 years of field experience, feel confident that your plumbing repairs will be completed professionally and promptly. 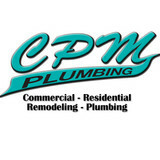 CPM Plumbing, Inc. is a family owned and operated business. Our company was established in 1994 and our philosophy is to treat every customer as family. At CPM Plumbing, we strive to do our best for our customers. We provide quality service, whether the task is large or small. With over 20 years of experience, we are rewarded with lasting relationships we have created with our customers. We know that you work hard for your money, and we offer quality service at affordable prices. The next time you need fast, friendly, and professional plumbers, give us a call. Coral Rock Plumbing Inc., Plumber near me Palm Bay FL, Plumber Melbourne Beach FL, Brevard Plumber near me, Plumber Sebastian FL, Plumber Cocoa FL, Plumber Vero Beach FL, Plumber Eau Gallie FL, Plumber Merritt Island FL, Miami FL, plumbing for Brevard, FL for repair and new installation for Residential Homes and Commercial Property. Coral Rock Plumbing Inc. installs and repairs Plumbing for, Water Heaters, Tankless Water Heaters, Gas Tankless Water Heaters, Electric Water Heaters, Plumbing for Drain Pipes, Clogged Toilets, Leaking Water Pipes, cast iron drains, pvc drains, faucet repair, toilet repair, backflow repair, French drains, water filters, drinking fountains, urinal repairs, flushometers, cast iron pipes, cold water pipes and much more! The professionals at Fahrenheit Plumbing Longwood are here to help! With 24/7 emergency plumbing service in Longwood and the surrounding areas. Our Longwood Plumber is ready to provide assistance any time you need it with the services of 24/7 Emergency Plumbing, Clogged Drains Cleaning, Plumbing Installations , Faucets, Kitchen Sinks, Toilets, Bath Sinks, Bathtubs & Showers, Garbage Disposals, Water Heaters, Septic Tanks, Grease Traps, Washer Lines, Water & Sewer Lines, Repiping, Leak & Pipe Repair, Toilet Repair | Sewer Repair, Video Inspections, Backflow Prevention, Water Extraction, Mold Removal, and Tree Roots Removed. We are a Florida and North Carolina licensed plumbing contractor specializing in new construction, service work and remodeling. We have the experience, manpower and inventory necessary to handle any project, large or small. We are committed to providing excellent workmanship and high quality products to every project we undertake. We also offer 24 hour emergency service, as we understand you can't schedule your plumbing problems. Our company takes pride in its workmanship and its warranty service, we are quick to respond to all emergencies, 24 hours a day. Our plumbers are trained by master plumbers. We do Commercial and Residential, New Construction, Remodels and Repairs. We are licensed and insured. PRO CRAFT PLUMBING LLC is a 24/7 Residential and Commercial Plumbing Service Company. 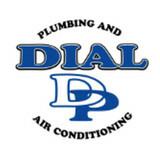 We are locally owned and operated with 25 years experience in the plumbing industry. Pro Craft Plumbing is Florida State Licensed and Insured. Our Mission is "Superior Services at Discount Prices". We provide Senior, Military, Teacher Discounts and Flat Rate Pricing. Give us a call (407) 792-8145 or go to <a rel="nofollow" target="_blank" href="http://procraftplumbing.net/contact.html">http://procraftplumbing.net/contact.html</a> "We're here to work around your schedule". Mr Rooter plumbing Deltona provides Drain cleaning and all household and commercial plumbing services. We here at Colonial Plumbing Inc. always provide our customers with top quality professional service at a fraction of the price. Our plumbing technicians take great pride in making sure your job is completed to your satisfaction. Inside of our showroom we carry a large selection of brands such as Moen, Delta, American Standard, Gerber, and Kohler. We also house one of the largest selections of plumbing parts and equipment in Central Florida. Call or stop by our showroom today. Colonial Plumbing Inc. has been proud to serve the Volusia County area for over 40 years. We are one of the oldest licensed and insured plumbing companies in Central Florida, and currently hold an A+ rating with the Better Business Bureau. We offer the best Drain Cleaning Services in Orlando, FL to help you Clear a Clogged or Slow Drain. "Plumbing You can Rely On, Plumbers You Can Trust" It's right there in our name: Absolute Family Plumbing Inc. We are your local family plumber and will give you a fair and honest price on all of our services. You can trust in our name, our reputation and our quality of work. CDS Plumbing is a family and christian owned business. Almost 90 percent of CDS Plumbing's business is referral based as we pride ourselves on putting our customers first. Our customers know we will do our best to help them through any problem that they may come across and that we will be honest and fair.